Twinkle, as you possibly know by now from reading our website, is not a mission trying to find new exoplanets, but rather to study known ones. This means of course that to do our work, we need the exoplanets to already have been discovered. There are many ways to find a planet, some unexpectedly simple for such a complex field as astronomy, and some slightly more abstract. The transit technique is currently the most successful way of finding exoplanets, and this is good news for Twinkle! We will be looking at the light from a star shining through a planet’s atmosphere, and for us to do this, a planet needs to have an orbit that makes it observable with the transit technique. Twinkle will focus on ~100 of the brightest exoplanets already discovered. Now we have many ways of finding exoplanets and, with almost 2,000 already discovered, it makes sense that we find out as much as we can about them. 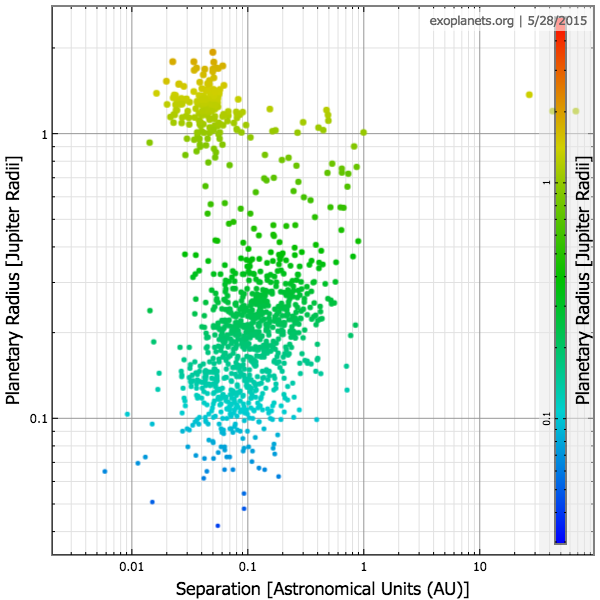 Currently all we know for many exoplanets is where they are, but barely anything about what they are like. Twinkle’s mission is to unveil their atmosphere to reveal their history, evolution and potential habitability. By using spectroscopy with Twinkle (see how this is done) we can learn so much more about the different worlds that populate our universe, and build on the international efforts that go into detecting planets outside our solar system.